Pitbull made his Total Request Live debut today, where he gifted a student with a scholarship and was interviewed. As he stepped onto the TRL stage, Pitbull met with Andrea, a student from Puerto Rico, who received $20,000 towards her education from the MTV show. When Armando heard about that, he decided to match the scholarship, turning it into $40,000! Later on in the show, Mr. Worldwide was interviewed by the hosts where he discussed his upcoming song with Fifth Harmony titled, “Por Favor”. Check out the clip below! He also discussed what it’s like to tour with Enrique Iglesias, and more. Check out all of the clips and pics from the show below! #NEW: @Pitbull at @TRL today! (10.11.17) ——————————————————— #Pitbull #MrWorldwide #Mr305 #ArmandoChristianPerez • Visit PitbullUpdates.com for more Pitbull news & media! 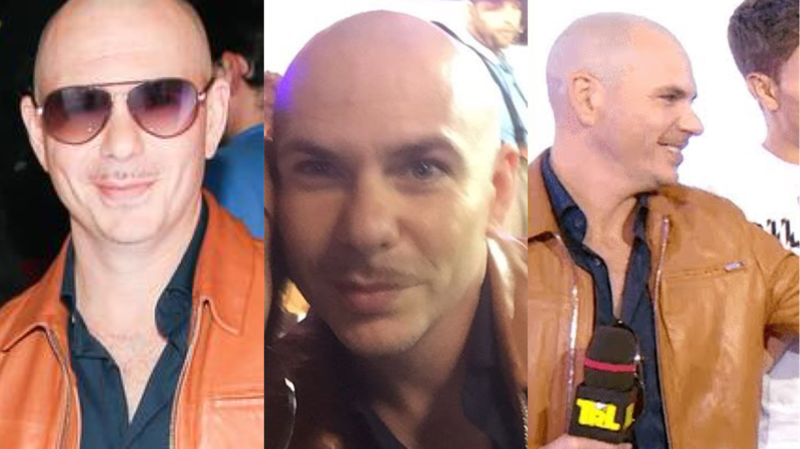 Watch Pitbull’s FULL appearance on TRL below!